Cyber attacks happen very often, and everyone is worried about the safety of their data. To prevent your passwords and other important data from being stolen, you have to pay attention to any changes on your computer. Bright Side invites you to read this article to learn how to check if your computer has been hacked. If you find out that it was, we will tell you what to do. 12. The antivirus is switched off. 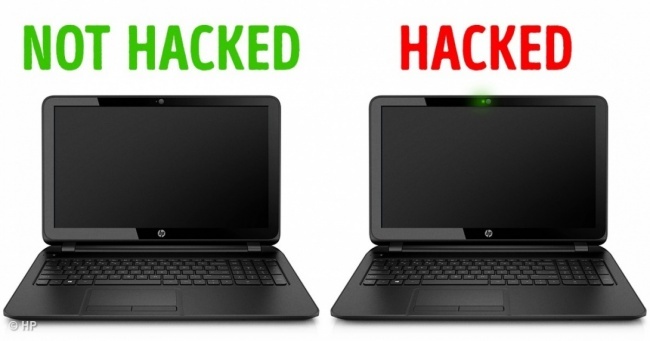 If you didn’t turn off your antivirus but noticed that it’s off, your computer is most likely hacked. It cannot turn off on its own. The first thing hackers do is shut down the antivirus to get easy access to your files. If you didn’t change your passwords but they stopped working all of a sudden and you can’t access your accounts, you should be alert — your computer is most likely hacked. 10. Your number of friends has grown. If you notice that you suddenly have many more friends on your social networks who you don’t know and don’t remember adding, it means that your account has been hacked and is being used to send spam. 9. New icons appear on your dashboard. When you launch your browser and notice new icons on your dashboard, this might be a sign of the infiltration of some dangerous code into your computer. 8. The cursor moves on its own. If you notice that your cursor is moving on its own and is highlighting something, your computer was definitely hacked. 7. Your printer doesn’t work properly. Cyber attack signs influence not only the computer itself but also your printer. For example, when it refuses to print or when it prints out something you didn’t want it to. 6. You are forwarded to different websites. If your browser keeps forwarding you to different websites, it’s time to be alert. The same goes for situations when you type something into a search engine and instead of Google pages, you go to another page you don’t know. If you see pop-up windows too often, it also signals a hack. 5. Files are deleted by someone else. Your computer is definitely hacked if you notice that some of your programs or files were deleted without your knowledge. 4. Your personal data is on the internet, even though you didn’t put it there. Check this using your search engine: look for information about yourself that you definitely didn’t put online. If you find it, your computer was hacked for stealing information. 3. You receive fake antivirus warnings. If you see antivirus warnings but they look different than usual, this is a clear sign of a hack. Another bad sign is if you have a new antivirus you didn’t install. 2. There’s unusual webcam behavior. Check your webcam: if its indicator blinks on its own, reboot the computer and check if it blinks again in about 10 minutes. If it does, it means that your computer was hacked. 1. The computer works very slowly. If the simplest operations take your computer a very long time to complete, and if you notice a significant drop in the speed of your internet connection, it might mean that somebody hacked your computer. Warn your friends and other people to whom you sent emails that your computer has been hacked. Tell them not to open messages from you and not to click on any links from you. Tell your bank about a possible leak of your personal data. Find out how to protect your money. Delete all unfamiliar programs and also those you can’t launch. Install a reliable antivirus, and scan your system. Some companies make trial versions. Change the passwords on all your accounts. If you still feel that the problem is not solved, ask a specialist.